Do you have a favorite pet, animal, person or landscape you would love to have a painting of? Think about having a commissioned piece of art created which you and your family can enjoy for years. Cat can work from photographs to create your masterpiece. Contact Cat directly to talk over your project, costs and so forth. You will probably be surprised at how reasonably priced have a personal painting commissioned for you. 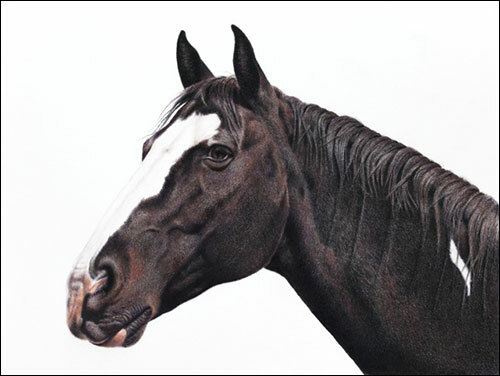 The photograph above is an example that one of Cat's clients sent her to commission a colored pencil drawing. You can see the beautiful drawing that resulted in the image to the left. 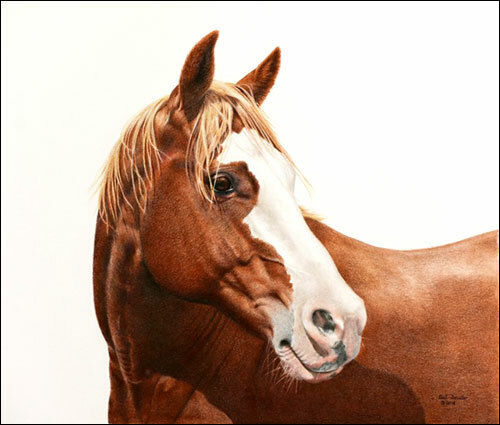 Cat works in a variety of mediums including pencil, colored pencils, pastels and oils.